Jamie C. Yang is a litigator and transactional attorney and partner at Innovatus Law, educated and admitted to the bar in the U.S. and Taiwan. 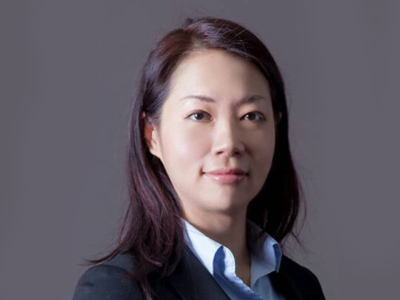 She is uniquely positioned to assist clients with IP and copyright concerns, including antitrust and cross-border litigation. Jamie’s litigation experience encompasses a wide range of dispute involving IP laws, including copyright and trademark infringement, claims for antitrust damages, enforcement of trade secret protection, non-competition clauses and enforcement of arbitral award of patent royalties. Her practice also includes IP transactional work. She regularly handles brand, trademark and copyright licensing work, as well as negotiating and drafting distribution and franchise agreements. Jamie is the original author of the copyright license templates used by Taiwan’s National Digital Archives. She has coordinated copyright clearance for thousands of artistic works. Because of her in-depth knowledge of IP laws, Jamie is often called upon to devise creative strategies utilizing multiple areas of IP laws. Jamie appears regularly before the Taiwan Fair Trade Commission (TFTC). Her practice includes international cartel defense and application for leniency, merger control filings and representing interested parties in opposition of a merger control filing, working closely with counsels in the United States, E.U., China, Japan, Korea and Israel. She has represented listed companies and obtained clearance in numerous high profile merger control filings. In addition, Jamie has successfully assisted clients in voicing their concerns about anticompetitive merger filings, resulting in competitors’ withdrawal of such merger filings. Moreover, she has successfully defended clients charged with market dominance abuse, resulting in favorable rulings by the TFTC. Representation of Bentu Life Co., Ltd. Shareholders in selling their shares to Cookpad International Ltd. (February 2017). Representation of Photronics Inc. in a joint Taiwan merger control filing with Dai Nippon Printing, Co., Ltd. (approval received March 2014). Representation of Chang Wah Technology Co., Ltd. and Sumiko Electronics Taiwan Co., Ltd. in their joint Taiwan merger control filing (approval received March 2014). Representation of ASML Holdings, N.V. and Cymer, Inc. in their joint Taiwan merger control filing (approval received March 2013). Representation of HLDS and its Taiwanese affiliates in connection with the competition authority’s investigation on concerted actions and bid rigging matters. Representation of a large U.S. patent licensing entity in an investigation by the TFTC for suspect abuse of market power. Representation of a large Japanese semiconductor company and its Taiwanese affiliates in a leniency filing at the TFTC. Representation of a distributor of semiconductor parts in an investigation by the TFTC for anti-competitive behavior including mass headhunting and trade secret misappropriation. Assisted a Taiwanese biotechnology company in obtaining a winning patent judgment from the Korean Court of Appeal, thereby settling on favorable terms. Representation of Taiwanese controlling shareholders in an intra-company negotiation with opposing Cambodian shareholders, and successfully kept land use rights for the company. Assisted U.S. counsel in defending a Taiwanese fund management entity against a 40 billion USD lawsuit launched by the Bernard L. Madoff Investment Securities LLC Trustee. “Discussing the Case of AmoGood and Fair Use in Copyright Law,” National Taiwan University of Science and Technology, April 28, 2017. “Trademark Litigation Practice,” National Taiwan University of Science and Technology, December 7, 2016. “Taiwan Regulation of Third Party Payment Systems,” at PyCon 2016, Taipei, Taiwan, June 6, 2016. “IPR for Inventors,” at Luxgen Startup Camp, Taipei, Taiwan, May 4, 2016. “Copyright Infringement – Discussing the Case of Kimen Kaoliang Liquor Inc.,” at LiK Studio, Taipei, Taiwan, April 17, 2016. Ready to Join the TPP? – Copyright Disputes Involving Doujinshi (Fan Art), Commercial Times, July 15, 2016. A Study of Reciprocal Licensing Obligations Resulting from Interoperation with GPL’d Software, Institute of Law for Science and Technology, National Tsinghua University (2007).